The countdown has begun – the 2018 BMW BERLIN MARATHON is right around the corner. Before you head to the start together with 5,258 other inline skaters from 67 countries, you can enjoy all the excitement at the BERLIN VITAL Expo first. You have to pick up your bib number there starting on Thursday. We wish you safe travels and lots of fun! 16. A kiss, a ring and now a Guinness World Records title? All participants must pick up their race kits during the BERLIN VITAL sports and health expo in the hangars of the former Tempelhof Airport (U6, station "Platz der Luftbrücke"). Try to avoid picking up the kits on Saturday from 11 am and 2 pm, as there may be waiting times of up to an hour then. If possible, pick up your race kits on Thursday or Friday if you live in Berlin or are arriving early. The race kids must be picked up by each participant personally – a pick-up for others or groups is not possible. You must present your start pass and a photo ID (identity card, passport, driving license). + You will receive a bracelet when you pick up your race kit, which must be worn on your arm until you cross the finish line. This helps ensure that the registered participant is also the person who runs. Transferring a race number will lead to disqualification. You will receive a transparent bag with your race kit. Only this bag can be used to bring your clothes, etc. into the pre-start area (Reichstag meadow) on Saturday. Backpacks, travel bags, and suitcases may not be brought in this area. NEW: On Saturday, your race number entitles you to use public transport between noon and 10:00 pm. All of the important info regarding the marathon can be found in the participant information brochure. From Wednesday to Saturday, there will be an extensive supporting program for the 2018 BMW BERLIN MARATHON: the Hall of Fame, the BERLIN VITAL marathon expo, the GENERALI BREAKFAST RUN, the Bambini Run presented by berlinovo, the Kids Skating races, the mini-MARATHON for schools, and an ecumenical service. Further information about the supporting program for the 2018 BMW BERLIN MARATHON is available on the website. 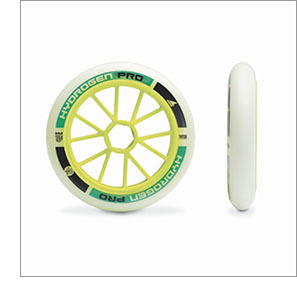 The Hydrogen Pro 125 mm wheel has been engineered to be the ultimate BMW BERLIN-MARATHON Inline Skating wheel. It features a 12 spoken hub for better handling, vibration absorption and roll for open road races. Presented in the Inline Village at the Expo BERLIN VITAL and at the Brandenburg Gate. 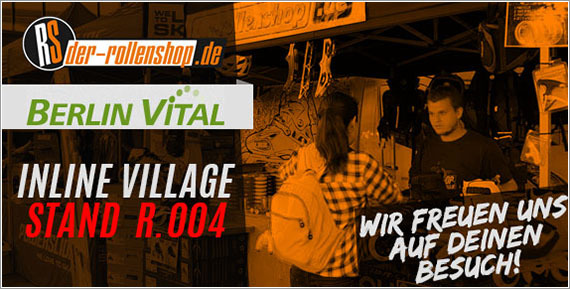 At this year's Expo BERLIN VITAL you will find us in the INLINE VILLAGE at STAND R.004. Of course, our stand is again brimming with great offers for one-time trade fair prices. Backpacks, Protection, Wheels, Bearings, Frames and Skates. This year we present some new skate models from the 2019 collection, let us surprise you. A very special promotion we have hidden together with Rollerblade® in your water bottles, which you get in exchange with the voucher on your bib number. It is worthwhile to take a look! We wish you all the best, no crashes and above all, a lot of fun during the race. As ambassadors of the sport of skating, the crew of one of Rollnacht Düsseldorf is looking forward once again to motivate all of the marathon participants at the back of the pack. According to the Olympic motto of “Participation is everything”, they will help every skater have fun making it to the finish in 2 hours 30 minutes. The interactive route map for the BMW BERLIN-MARATHON makes it easy to see where the route is closed or free at a certain time. It is available in three versions: for spectators, participants, and residents. Your personal memory of the BMW BERLIN-MARATHON 2018. BMW offers a high-quality poster of the BMW BERLIN-MARATHON for runners. How it works: Pick up your poster at the BMW expo booth, finish the marathon and attach your personal bib number on the poster. Print your finish time on your official finisher or event shirt! Buy your official event shirt at the adidas exhibition booth or at the finish area of the BMW Berlin-Marathon. Take it to one of the adidas stores in Berlin and get your finish time printed for free. The final countdown is on! Your big race is just days away. You have trained tirelessly. You are ready. At Abbott, we celebrate what people can achieve when they’re at their healthiest. We keep your heart healthy, nourish your body at every stage of life, help you feel and move better, and bring you information, medicines and breakthroughs to manage your health. We work every day to help people like you live your best life. Good luck on race day. We’ll be cheering for you! This year HERE Technologies is taking you beyond the course of the 45th BMW BERLIN-MARATHON. We want to encourage you to discover the unknown behind the streets and road signs of the 42-km track. On our landing page, you can find out how we help cities to run more intelligently, while exploring the people, stories, and history that shaped the streets the BMW BERLIN-MARATHON winds through. Get a real sense of what makes Berlin so wonderfully unique, whether you’re running it yourself or cheering for your friends and family. Take a look beyond the map here. Are you physically and mentally ready for your marathon? When the race slowly heads towards the home straight, your legs are getting heavy, and the will to succeed threatens to waver, that’s when a motivation boost is desperately needed. The ERDINGER Alkoholfrei PowerZone is the perfect pick-me-up at this stage of the race. As the athletes run through the distinctive blue arch, they’re driven on by pulsating beats, cheering crowds, and a professional cheerleader performance. With renewed energy, the runners are then ready for the final push. It's not too late to start fundraising! There’s still time to use your place in the 2018 BMW BERLIN-MARATHON to raise money for a charity. Visit the official charity listings to find a cause close to your heart, and contact them using the info provided to find out how you can get involved. There’s no minimum fundraising amount – everything you raise will make a huge difference to your chosen charity. Register now to avoid disappointment. Fantastic HD videos from your race! 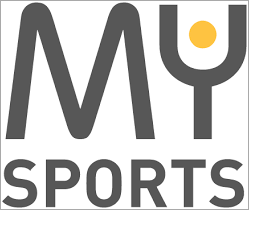 Thanks to MySports you can watch your personal race video on the internet and share it with your friends! To view your race in streaming HD on the internet click here and enter your name or race number. You can find your personal race video by clicking on ‘Watch your video here’. The cameras were located on two positions: 21km and the unforgettable finish. In addition you can save your race forever on video as a HD download for 19,99 €. A kiss, a ring and now a Guinness World Records title? Final spurt – only five days left until the runners hit the race track. The Guinness World Records applicants are completing their last trainings and fix last things of their fancy dresses. Just about time to introduce our last record applicant: Richard from Lübeck will run the marathon dressed as the Holstengate, the famous landmark of his favorite city. If you take a close look can even see the logo of the city´s 875th anniversary on his costume. After the first kiss and a successful proposal to his wife at the Berlin Marathon he’s looking forward to make his next big memory: a Guinness World Records attempt.